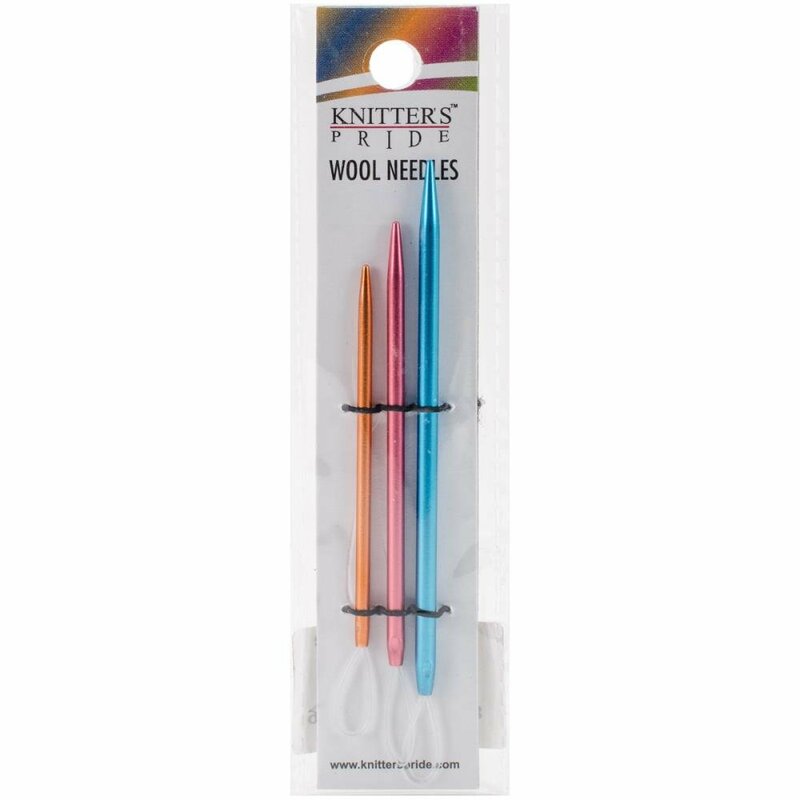 Knitter's Pride-Wool Needles Set Of 3. These wool needles are perfect for all yarn types! They have blunt ends to avoid injury while sewing knitted projects and cord eye for easy threading. This package contains three wool needles in sizes 1/2.25mm, 2/2.75mm and 3/3.25mm.